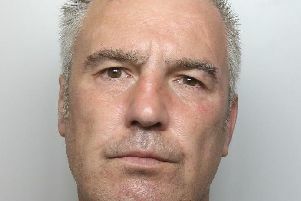 A burglar who was caught red-handed plundering cash and booze from a town centre bar and then, when pinned down, was found to be armed with a knife has been put behind bars for two and a half years. A court heard that Lee Greensmith forced his way into Leigh’s Cafe Stella, started breaking into tills and a gaming machine to extract their money contents and then got ready to steal radios and bottles of spirits too, a court heard. But then the business’s two owners turned up at the King Street business and managed to restrain him. Bolton Crown Court heard that the 45-year-old was detained by the pair while police were called. On arrival, officers frisked him and found a lock knife tucked into Greensmith’s hoody pocket. 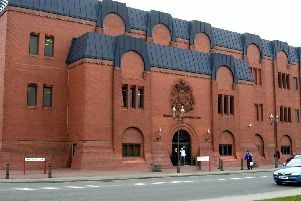 Greensmith, of Hope Carr Lane, Leigh, had already pleaded guilty to burglary and for having a bladed article in a public place when he appeared before Wigan and Leigh magistrates earlier this year. Because of the seriousness of the offences, the bench then sent the case to a higher court for sentencing. The Bolton judge hit him with a two-year prison sentence for the break-in and another six months, to run consecutively, for being armed with the offensive weapon. The hearing was told that at around 9am on Sunday March 10 Greensmith was seen trying to break into the closed premises using a screwdriver. When that didn’t work he produced a crowbar out of a bag and jemmied open the door. Once inside he caused considerable damage breaking into a slot machine to steal more than £300 in cash, took five bottles of alcohol together worth £200, forced open two cash registers and stole three radios and chargers themselves worth £350. All of the property that the intruder tried to steal was recovered, but the court was told that the damage he caused to the doors, tills and gaming machine totted up to £1,600.